Board certified in dermatology, Dr. Yeung specializes in the treatment of melanoma and other skin cancers. Howa Yeung, MD, is an Instructor in the Department of Dermatology at Emory University School of Medicine. A board certified dermatologist, Dr. Yeung specializes in the treatment of melanoma and other skin cancers. Dr. Yeung is a member of American Academy of Dermatology, Society for Investigative Dermatology, Atlanta Association for Dermatology and Dermatologic Surgery, and Gay and Lesbian Dermatology Association. Dr. Yeung obtained his medical degree from New York University School of Medicine in New York, NY. 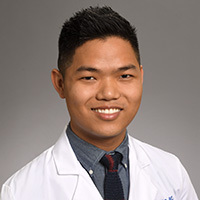 He completed his medical internship at Yale-New Haven Hospital in New Haven, Connecticut, and his residency in dermatology at Emory University School of Medicine in Atlanta, Georgia. He completed a Dermatoepidemiology NRSA Research Fellowship at University of Pennsylvania in Philadelphia, Pennsylvania. He is currently pursuing a Master of Science in Clinical Research at Emory University Laney Graduate School. Dr. Yeung's research focuses on measurement of quality of life and patient-reported outcomes in cutaneous toxicity of immunotherapy in patients with advanced melanoma. He additionally applies epidemiology and health services research methods to optimize skin cancer prevention and care in sexual and gender minority populations and persons living with HIV.